The San Diego school board will be asked Tuesday night to certify projections that the district will be in a precarious financial condition over the next few years. Staff of the San Diego Unified School District has recommended that the board give a qualified certification to its finances in the second of three annual reports required by the state. School districts can file a positive certification if officials know they can meet their obligations in the current and next two fiscal years. A qualified status means they’re uncertain. A negative certification means they will not be able to pay their bills. San Diego Unified financial staff projects a 2014-15 budget shortfall of $62.6 million, based on current assumptions, but solutions have been identified for the board’s consideration, according to a presentation prepared for the trustees. The board will consider one of those proposed fixes — carrying out an early retirement program in hopes of saving $16.7 million over the next five years. The budget gap forecast for 2015-16 is $67.5 million. According to the state Department of Education, San Diego Unified gave a qualified certification last year along with five other districts — Alpine Elementary, Borrego Springs Unified, Carlsbad Unified, Ramona City Unified and Vallecitos Elementary. 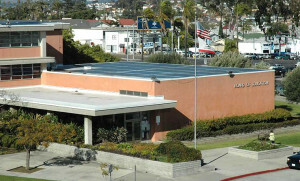 The San Ysidro Elementary School District issued a negative certification last year.